On every school break and holidays! 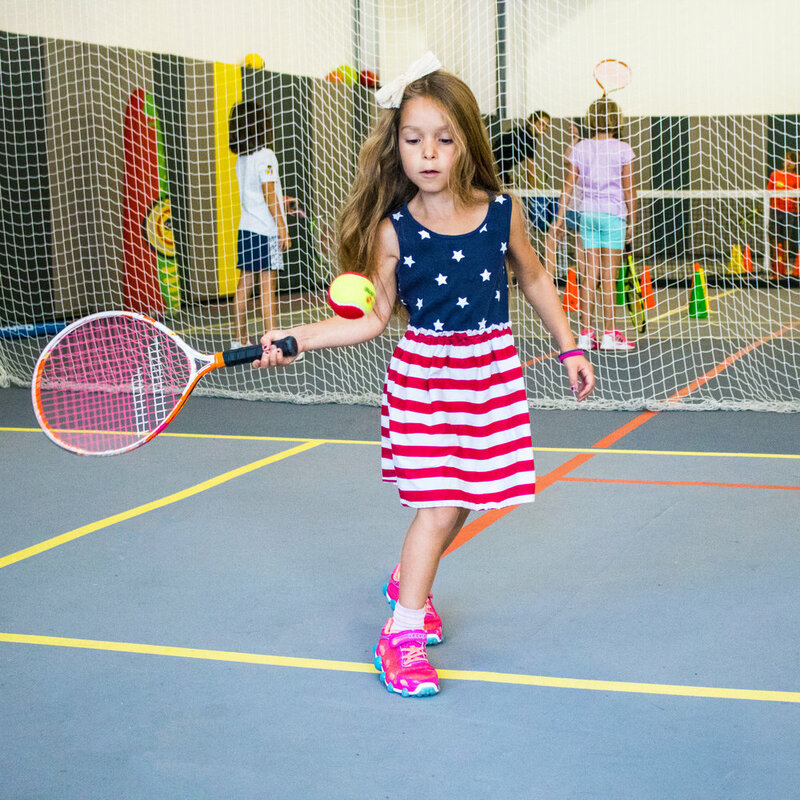 Designed for kids ages 4 through 10 and open to non-members, tennis day camps at Court 16 are designed for kids to build confidence through tennis games in small groups and off-court activities that foster social fluency. Court 16 Members receive 16% off all tennis camps! During lunch time we screen a cartoon for the kids to enjoy! For week-long camps, sign-up is available on a day-by-day basis. No refund will be applied once booked. With respect to medical issues that may arise, please email us, we will work with you to switch your camper to a later camp session. Tennis shoes with non-marking soles are required to hop on our courts. Tennis camp is designed for kids ages 4 through 10 years old of all playing levels!